Safestore Self Storage Manchester Central is located outside of the City Centre on Cheetham Hill Road, our Manchester Central store is just a one minute drive away from Fort Retail Park. It is also a short distance from the Manchester Evening News Arena and Manchester Jewish Museum, and it has access to all major road networks with train and bus stations nearby. At Safestore, all your things are kept safe from harm with our 24 hour recorded CCTV and intruder alarms. As the only key holder, you have unlimited access to your room during opening hours. Whether you’re looking for business, household, student or archive storage you’re sure to find exactly what you need with our team of friendly, expert advisers. Get in touch with us today. If you're looking for any other locations, you can click here for storage in Manchester. We have a range of storage solutions at Manchester Central Safestore, whether you are moving house or just need some space to store your things. Use our storage size tool to help you decide what you need. 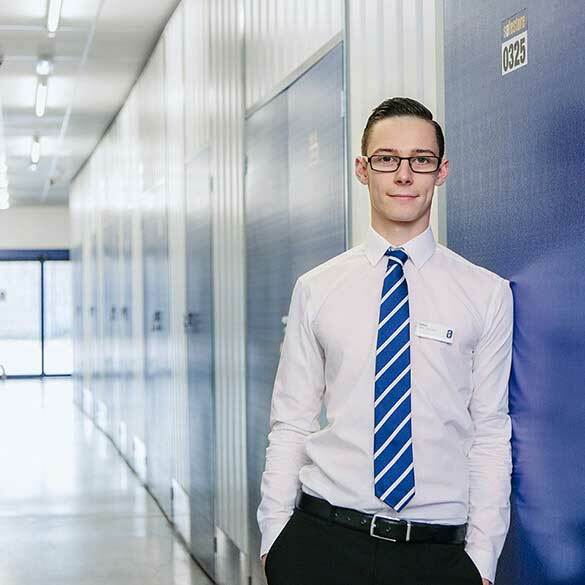 Get 50% off storage for up to 8 weeks at Safestore Manchester Central with no minimum stay. Offer available at all UK Safestore centres. Get a storage quote at Safestore Manchester Central today and reserve a unit for free. When you move in we won't need a security deposit either. Get 20% off at Safestore Manchester Central if you agree a stay for longer than 12 months. Terms apply. Grey Panther Removals have been helping people move for years. Whether you are moving home, business or single items, we have a solution for every move. There is no job too big or too small for us. We have years of experience in packing, storage, planning and packaging materials – get in touch to discuss how we can help make your move become efficient and stress free.